A superb Irish single malt whiskey, named after a famous champion race horse (which shared its name with the ancient kingdom of Gaelic Ireland located in modern day Donegal)! The brand has existed since 1876, but was first owned by the Watts family. These days, this whiskey is produced at the world famous Cooley Distillery, operated by Beam-Suntory (via their Irish distilling outfit, Kilbeggan Distilling Company). This lovely 16 year old has been aged in former Bourbon American oak barrels for 16 years, creating a rich and complex whiskey. Drinkers should expect classic Irish notes of green apple and pear, some grassy notes, honeydew melon and clear honey with a little malty toffee. The flavours are helped by the fact that this whiskey is bottled at 46% ABV, a little overproof. 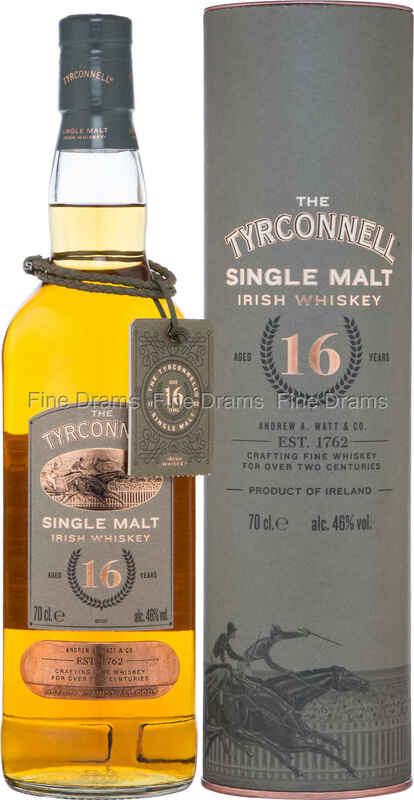 A charming and delectable Irish single malt that is not to be missed out on.